The inaugural U. S. Poker Open is rolling along at ARIA in Las Vegas, with its $50,000 Main Event set to begin on Friday. The question is, though, if you throw a poker tournament and no one pays attention, did it happen? If you’re looking at this tournament, then it hasn’t happened as it has been going on with little fanfare. The schedule was that it may have been very popular for the top professionals in the world. A collection of poker tournaments, none under a $10,000 buy in, testing the world’s best players as they vied against each other for glory. Looking at the individual events so far, however, there hasn’t been the horde of professionals (or deep-pocketed amateurs) swarming Las Vegas for the schedule. The first event, a $10,000 No Limit Hold’em tournament, only drew out 68 ENTRIES, not players, for the event, which was eventually won by Justin Bonomo. What was supposed to be one of the more intriguing events, the $10,000 Pot Limit Omaha Hold’em tournament, only 64 entries were received (the tournament was won by Mike Gorodinsky). The numbers didn’t improve with a raise in the stakes, either. The first $25,000 event, a No Limit Hold’em affair, brought 44 entries as Stephen Chidwick emerged victorious. Chidwick wasn’t done, however, as he came back in the very next tournament, the $25,000 Mixed Game Championship, and won it, too. Still, the 45 entries that came in for that tournament had to be a bit disappointing. The last completed event, Event #5’s $10,000 No Limit Hold’em tournament, saw 67 entries and crowned Ben Tollerene as the champion. So, what has been the problem with the U. S. Poker Open, as it seems as if the same players are just sitting there pitching in their donations? First off, that is what has been happening as several players have taken part in every tournament and taken part in several reentries, such as Daniel Negreanu. What is happening, however is an example of perhaps some bad scheduling on the part of the U. S. Poker Open and Poker Central, which envisioned the tournament schedule. Poker Central, together with its streaming channel PokerGO, is always in need of programming. There’s only so many times you can run repeats of past events (as Poker Central learned when they were trying to cut it as a cable network) until the viewers start to tune out. In the past, they’ve struck gold; the creation of the Super High Roller Bowl and last year’s Poker Masters series have both been well received by the poker community. You can only go to the well so many times, however. The U. S. Poker Open seems to be contrived, unnatural, rather than something that organically grows. It was bad enough that there was already an event that was once called the United States Poker Open (I do wonder if Poker Central tried to get the rights to that name), but to put something up with a name that acts like there is so much gravitas to it without any history makes it appear it’s being jammed down people’s throats. Then there’s the scheduling. The start of a New Year is ALWAYS crowded in the tournament poker world. Beginning with the PokerStars Caribbean Adventure through the Aussie Millions to the Borgata Winter Poker Open to the L. A. Poker Classic, there are a plethora of tournaments with long histories and a boatload of prestige and respect (and this isn’t even counting the mid-major league tournament circuits). If a player has a budget for tournaments, they’re more likely going to look at these established events rather than something that has no history to it. So when would you schedule a prospective “U. 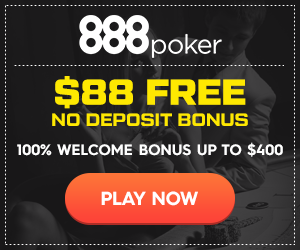 S. Poker Open?” Well, there’s a lull in the last half of December. You want to influence the tournament poker scene? That would be the perfect spot for a 4-6 event series of high dollar buy in tournaments that would have an effect on Player of the Year races and, perhaps, set a player up nicely for the New Year. Finally, there is that old poker adage of “sharks don’t eat other sharks.” Professional poker players aren’t going to go where they get the “greatest challenge.” They are going to go where the game is soft and the opportunity to make money is rampant. Thus, you’ll see pro players taking part in that 700-800 player tournament in the Bahamas or in Melbourne (and, if they fail, dive into cash games) rather than trying to outdo 40-50 other players who are just as talented as them in several $10K buy-in (minimum) tournaments. Perhaps with time the U. S. Poker Open will become something. But it should be noted by Poker Central that the well is almost dry on this “High Roller” spree they’ve been on and they should consider some other options for programming (here’s one off the top of my head: Poker House, a “Big Brother” type competition where 12 poker players are watched 24/7 as they live together, work together and…well, let your mind wander…with a tournament each week to knock off a competitor…or will they be knocked off?) When the U. S. Poker Open Main Event concludes on Sunday, will anyone really care?